German Defense Ministry prefers the Eurofighter while the Air Force Chief looks at the F-35. Germany is divided between Eurofighter and F-35 to replace the Tornado fleet. 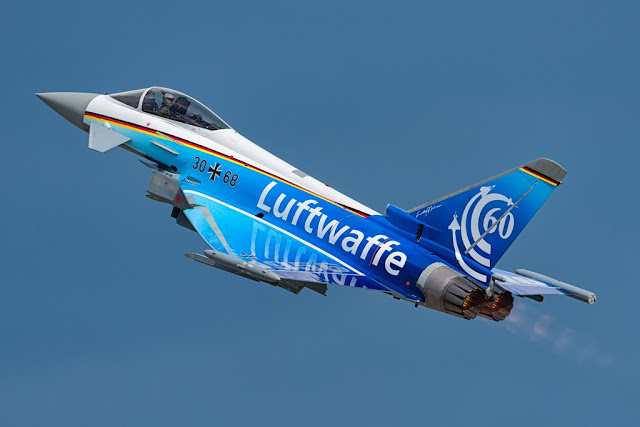 According to Reuters, the German Defense Ministry has stated that the Eurofighter Typhoon is the preferred choice to replace the aging Tornado fleet. This preference is in disagreement with that of the Chief of the German Air Force, General Karl Muellner, who had declared to prefer the Lockheed Martin F-35 Lighteninng II (more details here). Deputy Defense Minister Ralf Brauksiepe highlighted that the Government considers the Eurofighter as the "primary" option to replace the Tornado fleet. The Americans F-15E, F/A-18E/F and F-35 are a "secondary" choice, he wrote in a letter. The choice of the European aircraft would not be a surprise considering that the Luftwaffe is certifying its Eurofighters to release the GBU-48 laser guided bomb and cover the air-to-ground role. The contract to replace the 85 German Tornado jets should be signed in 2020 or 2021 to guarantee deliveries by 2025. The bomber plane will end its operational life in 2030.